Publisher: Geoffrey Nevine October 23, 2017 This information is provided solely as a guideline. How can you do your best to make sure your baby develops well and is born healthy? And look after yourself at the same time? Here are a few of the most important tips. Stop smoking. Well, you’ve probably heard that one before! Cigarette smoke is full of poisonous chemicals, and they all very easily get to the baby. So if you smoke, your baby smokes too. And this stops it from growing properly. The babies of smoking mothers are born smaller. What’s more some research shows that they’re more likely to have a clubfoot? Later in childhood, their lungs don’t work as well. And they’re more likely to die around the time of the birth. This tip also applies to your partner or the people around you when you’re pregnant. When they smoke, you breathe the smoke, and your baby smokes too. Babies who live in a smoky atmosphere are more likely to die in their sleep for no obvious reason – this is called ‘cot death’. So it’s also important not to smoke after the baby is born – or at least not in the same room as the baby. And of course, if you give up smoking you’re also looking after yourself! You know it’s bad for you, and now you’re pregnant you’ve got an extra important reason to kick the habit. 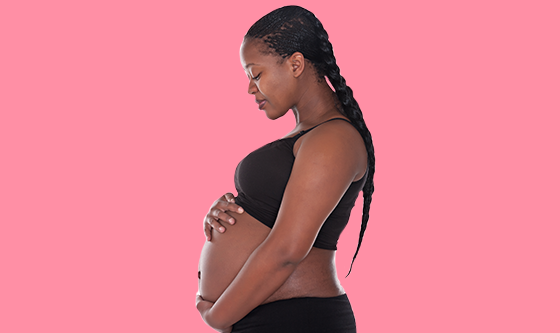 Depending on your situation, early pregnancy can be a stressful time. This make giving up smoking seem extra difficult. But there are lots of places to find tips and help. Try reading 'The easy way to stop smoking' by Allen Carr – it’s helped millions of people to give up smoking. You can also download it here. There are also a lot of websites with tips on how to give up smoking, like Quit Smoking Stop or Stop Smoking Tips. Don’t drink alcohol. Like the poisonous chemicals in cigarette smoke, alcohol easily gets to the baby. So if you drink, the baby drinks too. Alcohol stops the baby’s brain from developing properly – and really heavy drinking can cause birth defects. Can just one drink do any harm? Well, researchers find it hard to say. It’s not easy to tell whether small amounts of alcohol have any effect on the baby. But as soon as women drink a bit more – say two glasses of alcohol a day – their babies are born a bit smaller than normal. So just one drink certainly can’t be doing the baby any good. That means the only safe advice is don’t drink alcohol when you’re pregnant. Don’t take drugs. Cocaine is particularly nasty – it cuts off the blood supply to the baby and can really cause a lot of damage. Hashish, or marijuana, has a less dramatic effect. But as with smoking tobacco, the babies of people who smoke cannabis when they’re pregnant are born smaller than normal. It’s the same story with amphetamines, or speed, or crystal meth. And women who are hooked on heroin give birth to addicted babies. They’re small, they cry a lot, and they lie trembling in their cots. In short, it’s the same story as for smoking and alcohol. If you take drugs, your baby does too. And it always has a bad effect. Be careful with taking medicines – especially during the first three months. Some medicines can seriously harm your baby. Just because you can buy a medicine over the counter at the chemist or drugstore, it doesn’t mean it’s safe to take when you’re pregnant. Read the instructions with medicines carefully to see if they’re okay for you to take. You can also ask the staff at the pharmacist’s or drugstore to check for you. If you normally take medicines for an illness, talk to your doctor about it preferably before you get pregnant. If you find you’re pregnant unexpectedly, see your doctor as soon as possible. Paracetamol (or acetaminophen) are okay to take – though it’s best only to take them if your doctor recommends it, perhaps to bring down a fever. Normal doses of either aspirin or ibuprofen may increase the risk of miscarriage in the first three months of pregnancy. Ideally, you should avoid taking medicines when you’re pregnant – only take them if your doctor advises that it’s really necessary. Wash your vegetables, and make sure your meat is well cooked. Some kinds of food poisoning can also infect the baby. Toxoplasmosis is caused by a parasite. You can get it from raw meat and unwashed vegetables – and famously it’s in cat stool! Although it doesn’t make you very ill it can damage your unborn baby’s brain or eyes. Also, avoid unpasteurized milk – or cheese made from unpasteurized milk. It can give you a Listeria infection, which can cause a miscarriage or premature birth. Boiling milk or pasteurizing it (briefly heating it to 72 degrees Celsius) kills the Listeria bacteria.